Another great contribution from our very own Paul Turner! As I’ve mentioned previously, one thing we know to be constant in our industry is that there is always going to be change. We’ve moved from black and white to color to digital to HD, in the constant desire to bring higher and higher fidelity images to the home. This has never been more true than today. 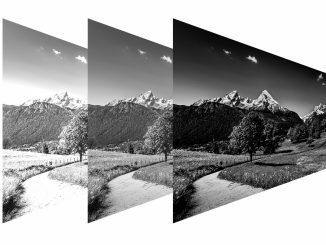 Talk of higher and higher resolutions and frame rates continue to stretch the boundaries of delivery bandwidths – with, some might say, decreasing rates of return. It’s hard to argue the value of High Dynamic Range TV (HDR), though. Even the least discriminating viewer notices immediately the improvement when they see their first HDR images. Large screen or small, high frame rate or standard, the visible improvement through HDR is immediately apparent. 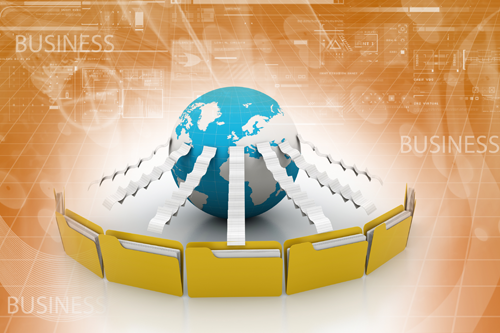 But the details still appear somewhat veiled – our industry is highly experienced in adopting new technologies and simply expect those producing, lighting, shooting and distributing the resultant media to adopt it and excel in their various duties without taking the time to really explain the basic concepts. This series of blog posts will attempt to help you get a solid grip on this technology. I’d like this to be interactive – if something in the blog doesn’t make sense, please ask me to clarify – I’ll be happy to do so. So let’s start by explaining the term. High Dynamic Range: what is a dynamic range, and why do we need a higher one? Dynamic Range is a term engineers and physicians use to define the full range of values that a piece of technology can deal with. As examples: in film, the range between the lowest amount of light that a piece of film can capture (if you go any darker, you can’t detect the difference) to the largest amount of light that the film can tolerate before it saturates (go any brighter, and you can’t detect the difference – the film has absorbed as much light as it can). In audio, the range from silence (defining silence would be another complete set of blogs, so believe me, silence can be variable!!) to the loudest level that a piece of equipment can record, tolerate or present (play back). It’s important to note that different pieces of equipment at different stages in the media production/delivery process could, in theory, have different dynamic ranges. In that case, the true dynamic range of the system may be limited to the lowest dynamic range component. More on that later – just remember: when you talk about dynamic range or High Dynamic Range, it’s important to specify if you are talking about a system, or an individual component of that system. If our aim is for a system to reproduce, as accurately as possible, the experience an observer would have if they were actually observing the original event, then we would like for that system to have a dynamic range that is equal to – or preferably slightly greater than – the dynamic range that the observer would encounter where they actually at the point of the event. However, reality (and financial requirements) often mean that we have to limit the amount of information that we can pass through a system, In TV, the upper limit for the dynamic range of the video would match the dynamic range of the human visual system. To date, we’ve fallen far short of that – I’ll explain that in future blogs. One thing to remember, though – when people talk about HDR, they’re almost always referring to High Dynamic Range and the ability to reproduce more colors. This aspect of video engineering is more correctly called Wide Color Gamut (WCG) – you really can’t do one without the other. In the next thrilling installment, we’ll discuss the dynamic range of the natural world around us, how that interacts with the human visual system, and the dynamic range of various components in the video path – where they were, where they are now, and where they may be in a couple of years. See you then. 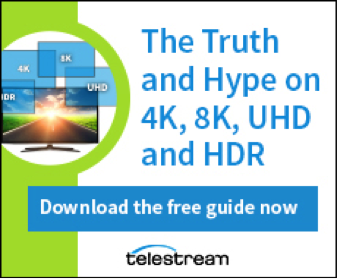 For more information about 4K, 8K, HDR and UHD, download our guide here. 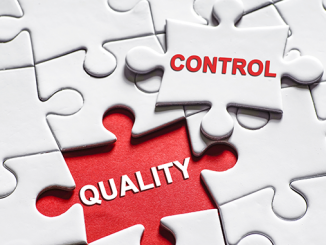 Why Should You Automate Your Quality Control (QC)?